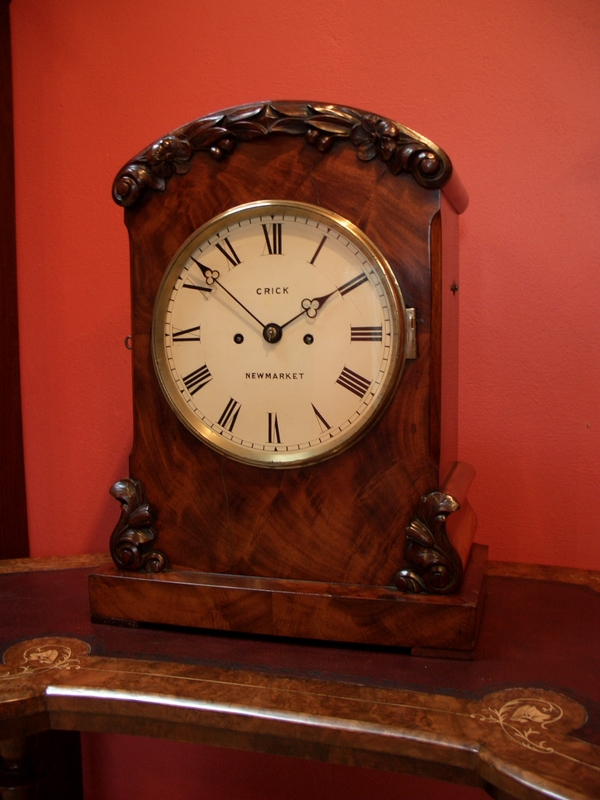 Mahogany cased English bracket clock from the 19th century, by Francis Crick of Newmarket, Cambridgeshire. The fine figured mahogany swept top case with applied carvings. The painted dial with Roman numerals and original moon hands signed Francis Crick – Newmarket . Twin fusee 8 day movement striking the hours on a bell. Fully restored with one years guarantee.